Rendering of the electronic device in which Majorana particles were observed. The device is made up of a superconductor (blue bar) and a magnetic topological insulator (gray strip). A UCLA-led team of engineers and scientists has found a “smoking gun” signature of the long sought-after Majorana particle. The particle, whose existence was first proposed by Italian theoretical physicist Ettore Majorana in 1937, could be the foundation for a class of robust topological quantum computers. Because the Majorana particle is its own anti-particle — carrying zero electrical charge — it is viewed as the best candidate to carry a quantum bit, or qubit, the unit of data that would be the foundation of quantum computers. Unlike “bits” of data in standard computers, which can be represented as either 0s or 1s, qubits have the ability to be both 0s and 1s, a property that would give quantum computers exponentially more computing power and speed than today’s best supercomputers. The research, published in Science, was led by Kang Wang, a UCLA distinguished professor of electrical engineering, of physics and of materials science and engineering, who also holds UCLA’s Raytheon Chair in Electrical Engineering. For their research, the team set up a superconductor, a material that allows electrons to flow freely across its surfaces without resistance, and placed above it a thin film insulator, to give the engineers the ability to manipulate the particles into a specific pattern. After sweeping a very small magnetic field over the setup, the researchers found the Majorana particles’ distinct quantized signal — the telltale fingerprint of a specific type of quantum particles — in the electrical traffic between the two materials. In the experiment, Majorana particles traveled along the insulator’s edges in a distinct braid-like pattern. 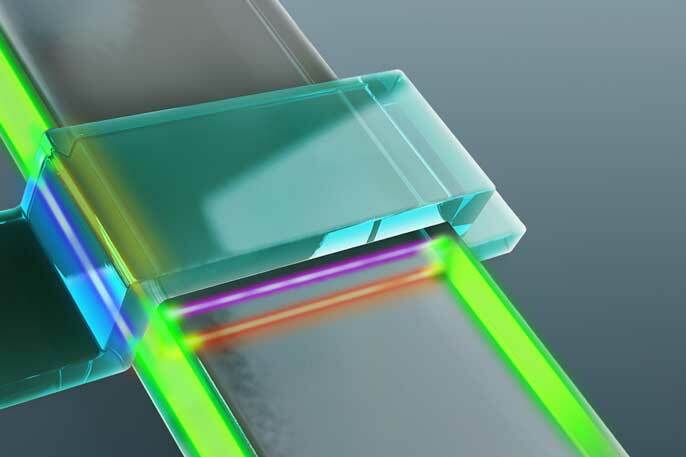 The researchers said the next step in their research will explore how to use Majorana particles in quantum braiding, which would knit them together to allow information to be stored and processed at super high speeds. Lei Pan, a UCLA doctoral student in electrical engineering and the paper’s co-lead author, said Majorana particles’ unique properties would appear to make them especially useful for topological quantum computers. The paper’s corresponding authors include Xufeng Kou, who earned his master’s and doctoral degrees at UCLA and is now a member of the faculty at ShanghaiTech University. The study was a collaboration with Jing Xia, a professor at UC Irvine, and Kai Liu, a professor at UC Davis. Shou-Cheng Zhang, a professor at Stanford University, also participated. The research was supported in part by the Spins and Heat in Nanoscale Electronic Systems Energy Frontier Research Center, which is funded by the U.S. Department of Energy and located at UC Riverside. Additional support came from the Army Research Office; National Science Foundation grants; the Semiconductor Research Corporation, through its support of the Center for Function Accelerated NanoMaterial Engineering; and the Department of Energy. Some of the research was conducted with Eun Sang Choi of the National High Magnetic Field Laboratory at Florida State University.